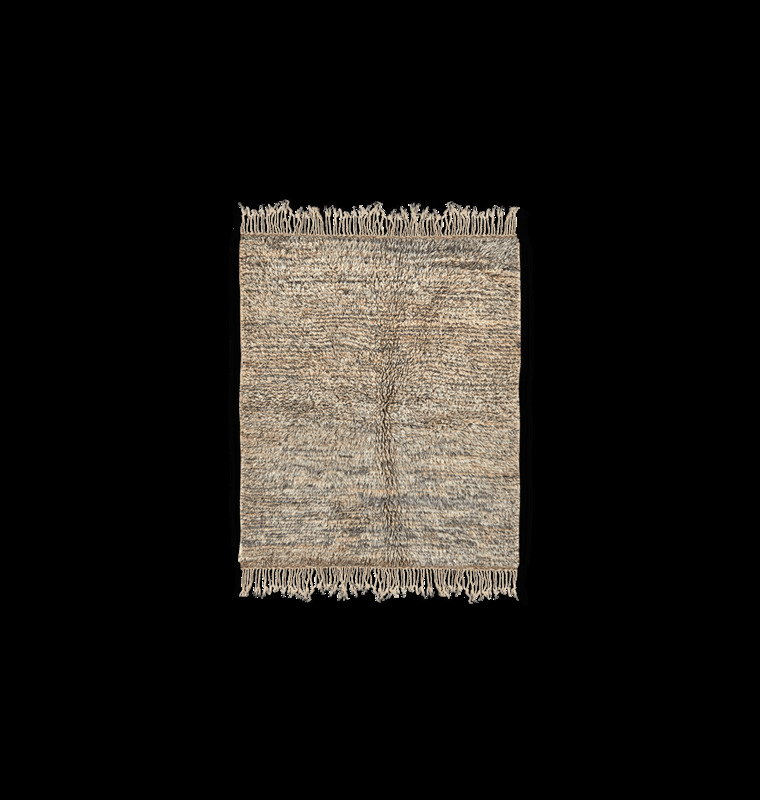 Our selection of moroccan Berber carpets is made up of one of a kind pieces found in the Atlas Mountains of Morocco and exclusively woven by hand with natural wool. 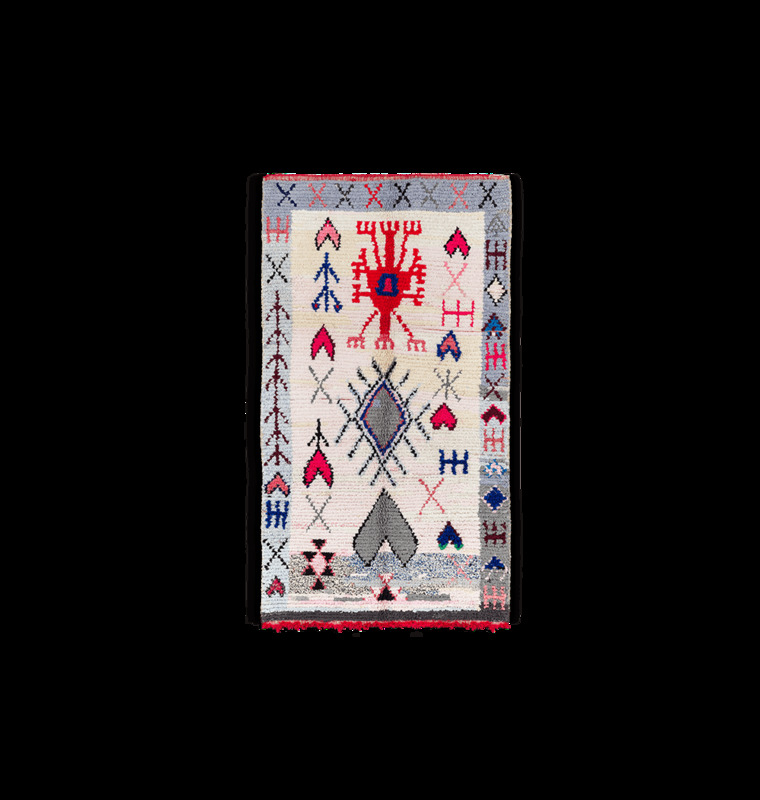 You will find different styles and designs depicted, with most motifs originating from the Berber tradition. Are you looking for a moroccan Berber carpet? Browse our collection to find the traditional and very sought after black and white Berber carpets. You will also find a large selection of colourful Berber carpets: showcasing the creativity and artistic freedom of the weavers. 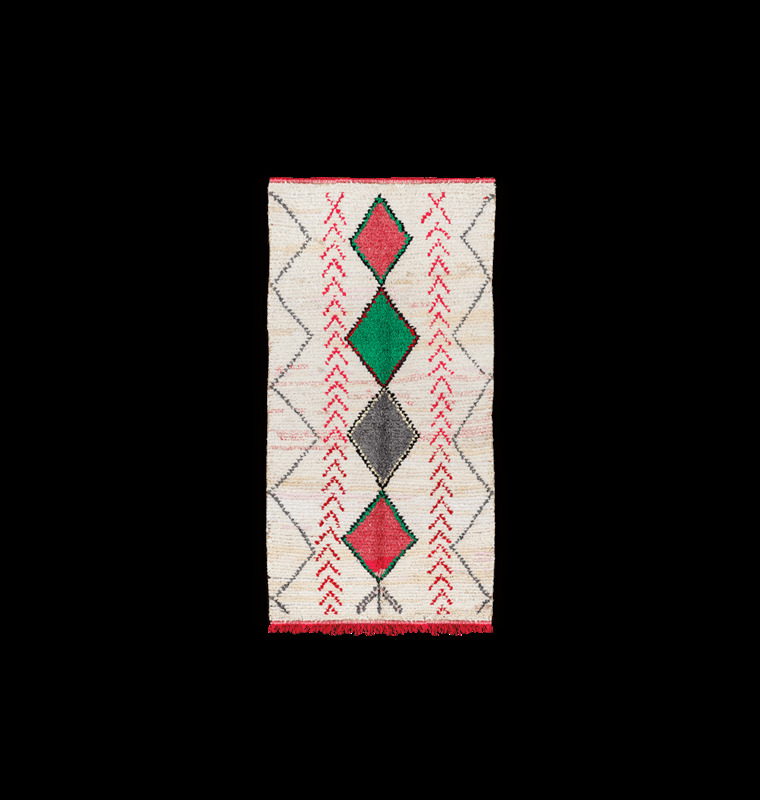 Our carpet collection includes the following types: Beni Ouarain, Boucherouite, Azilal and Kilim carpets. Each carpet is carefully selected based on their suitability to enrich your interior decor. Find the Berber carpets you are looking for. Looking for a modern, refined and eco-responsible carpet for your interior decoration? Think of the Berber carpets with which you can give a unique cachet to your rooms. Whether colors or shapes, they are available in a variety of ranges to meet your different desires. 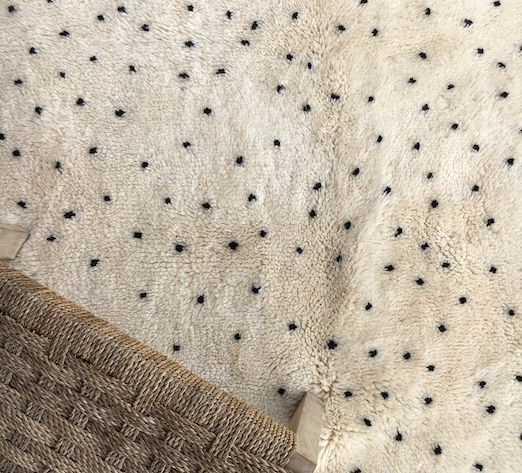 With its black and white bi-color tones, the Beni Ouarain is a Berber carpet that allows you to offer a modern look to your interiors. This exceptional hand-woven product will also seduce you with its minimalist style and geometric patterns. Made of thick and soft wool, it is one of the most popular contemporary carpets in the world.